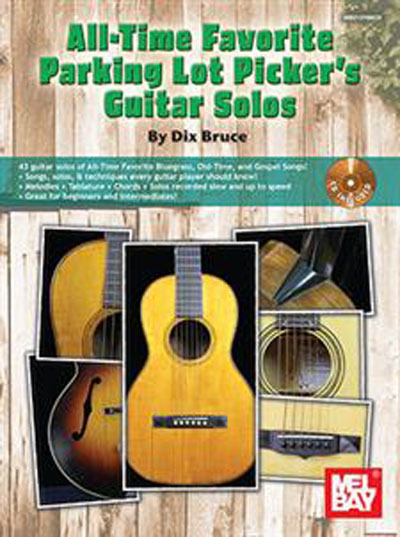 Aimed at beginning and intermediate guitarists, this book is packed with songs,solos, and techniques that every guitar player should know. The material includes melodies, tablature, chords, and all the solos are recorded at both slow and regular speeds on the accompanying audio. Solos include easy open string solos, closed position moveable and transposable solos, double stops, solos with a bluesy sound, crosspicking solos, and backup guitar parts. Additional tunes are available for free in the "Downloads" tab.